She believed she could so she did! 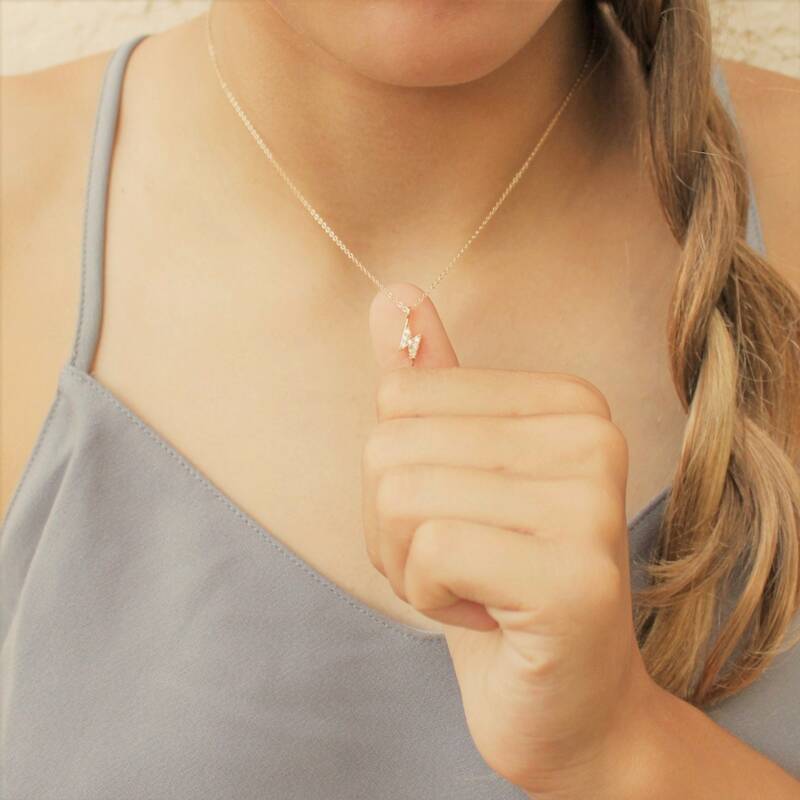 This dainty lightning bolt necklace is the perfect inspirational reminder for that someone special of their accomplishments. 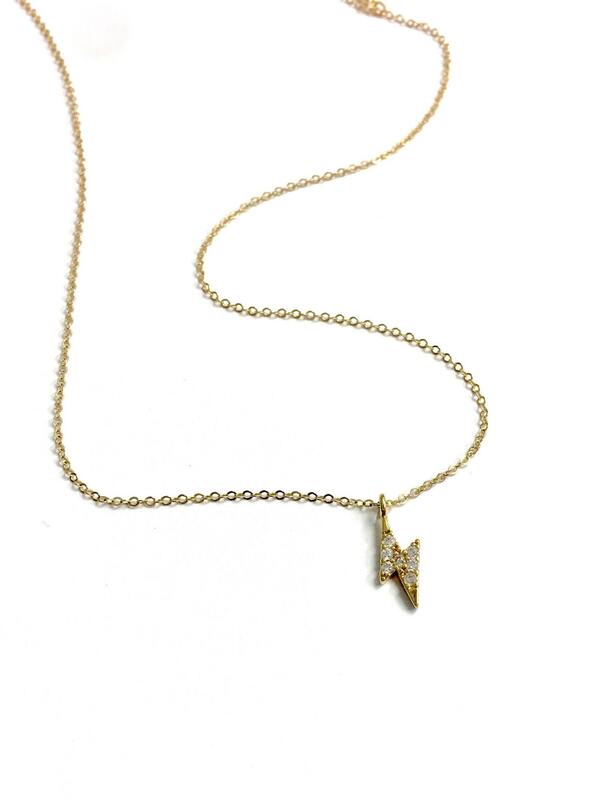 This powerful, lightening bolt is the perfect reminder to believe in your self! -ultra tiny lightning bolt with sparkling CZ crystals. Gold or rhodium plated. 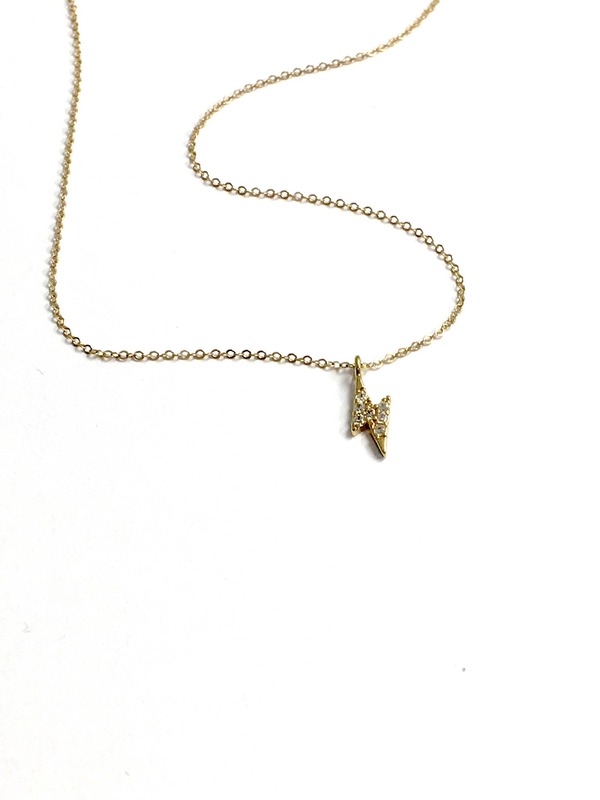 -High quality 14kt gold filled or sterling silver necklace with a premium clasp. -Gift packaged with a She believed she could so she did insert. -16 in length with an adjustable 2 inch extender. We securely accept all major Credit Cards and Pay Pal. Credit Cards are also welcomed through Pay Pal, you can pay with your credit card without having to sign up for an account. You can checkout as a guest with paypal by selecting the "don't have an account" option. Orders take 3-6 business days to handcraft with love before shipping!! USPS First Class Shipping is $4.25. Ships with delivery confirmation and usually takes 3-5 days for delivery after the order is shipped, however it can take longer during the Holidays. Larger orders of 5 or more items can take 6-13 days before shipping. USPS Priority Shipping is $14.25. Orders ship in 1-2 business days to handcraft. Ships with delivery confirmation and usually takes 2-3 days for delivery after the order is shipped. Priority delivery is not guaranteed by USPS. USPS Express Shipping is $34.25. Ships with delivery confirmation and takes 1-2 days for delivery after the order is shipped. Express delivery is guaranteed by USPS. You can upgrade shipping at checkout. USPS International First Class Mail to most places. This ranges from $10.50 to $13.50 and takes 2 to 3 weeks or longer after the item is shipped. Some countries require an additional customs duty or tax, please check with your country. This is the buyers responsibility, charges are usually collected upon delivery or when you pick up the package at the postal office. Purchases cannot be marked as gift even if they are shipping to the gift recipient. Our jewelry is handcrafted and personalized just for you, some designs are not eligible for returns. All returns have a 15% restocking fee and the buyer is responsible for return shipping costs. Hand stamped items are custom made just for you and are not eligible for return. Refunded if in new and unworn condition within 21 days of purchase for non-personalized pieces. Due to hygienic reasons, earrings are not eligible for returns. We understand sometimes things can go wrong with your order, if we have made a mistake, please let us know within 7 days of receipt and we are happy to make it right! We hope you never need a repair on a design purchased from our shop, but if you do let us know and we can work with you. Repairs older than 60 days of purchase may require a small fee. If your necklace arrives and it is too short, there are two options. 1. Purchase an extender in our shop for a small fee, it can be used on all of your necklaces. 2. Return the necklace to our shop within 21 days of receipt and we can replace the chain. Please be sure to include your name, new length and return address. We ship all orders USPS, if your package shows delivered and is not in your mailbox please give your package a little more time to show up, these usually do find their way to you. Report to us packages that are 14 days or older from the last scan. We are happy to file a lost mail report with USPS and work with you, refunds are not available. 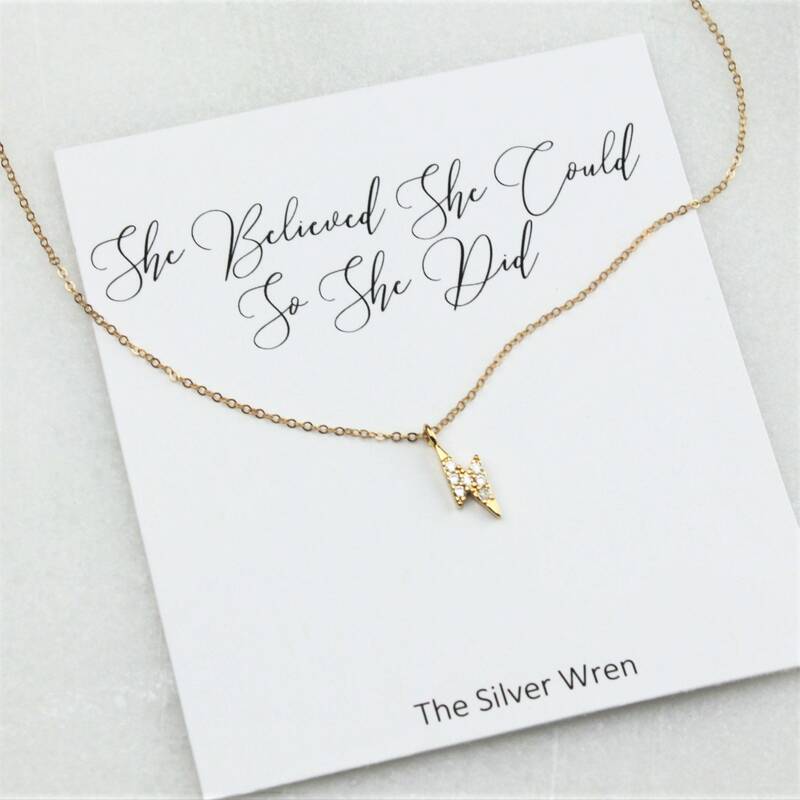 I will gladly send your purchase to another address if it is a gift, use the shipping address at checkout for the location you would like the necklace to be sent. All orders come gift packaged and we never include invoices in orders as a lot of the orders are gifts. 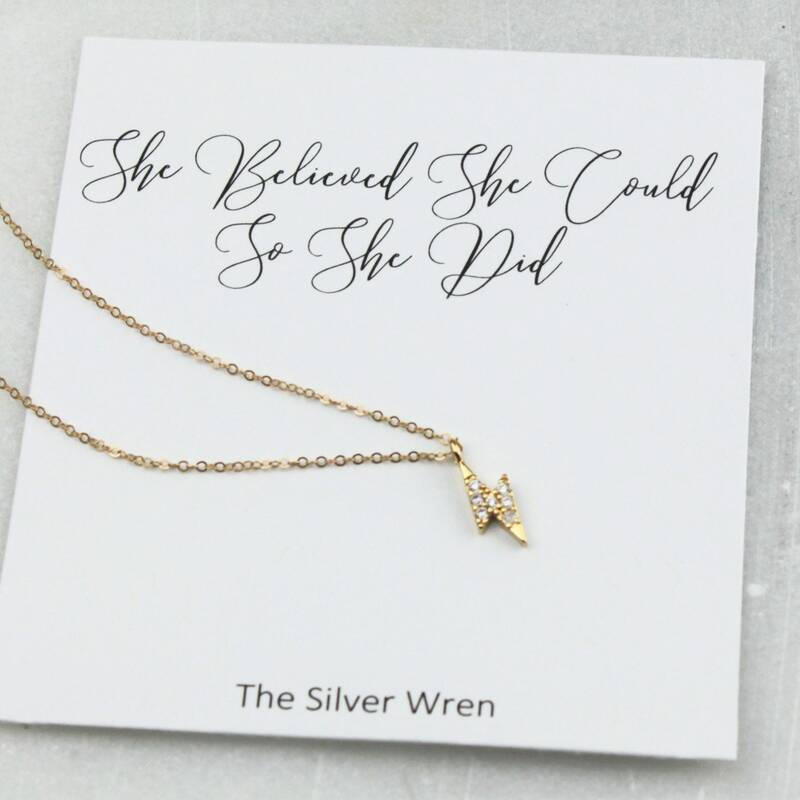 Please only use a polishing cloth to clean your Silver Wren Jewelry. Other methods such as liquid cleaners can damage finishes. How do I leave my personalized details for an order? Once item(s) are added to your cart start the checkout process, there is a message box to leave us a note right before you submit your order. Please purchase upgraded shipping at checkout. See our shipping section for details on shipping times. Each design is handcrafted to order, please check the shipping & policies for our current timeline. This does not include the shipping time for delivery. Faster shipping & production times are available at checkout. Gold filled jewelry is beautiful long lasting material, it is very durable and will not chip or turn colors. With proper care it can last many years. It is also safe for those with metal allergies. All solid sterling silver does tarnish over time we include a sterling polish pad in your box that will wipe tarnish away. Wearing your silver often can help keep it clean. Rose gold filled does have a slight nickel barrier on the chain under the rose finish. A nickel free rose gold version is available upon request. The silver and gold versions do not contain and nickel. Very cute! Love the packaging. Thanks. Great Christmas gift for a bff.